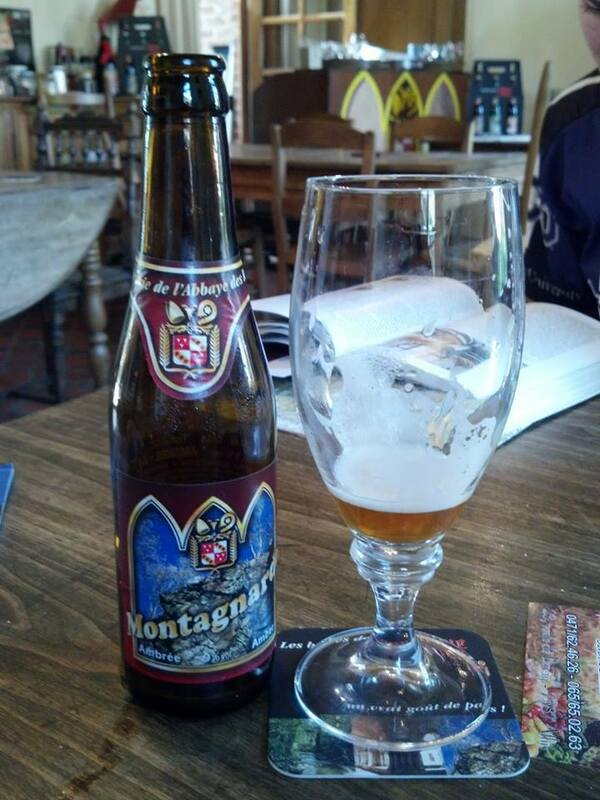 DESTINATION: Thulin, Belgium, with stops at Brasserie Angelus in Erquellenes, Belgium and Brasserie De L’Abbaye Des Rocs in Montignies-Sur-Roc, Belgium. 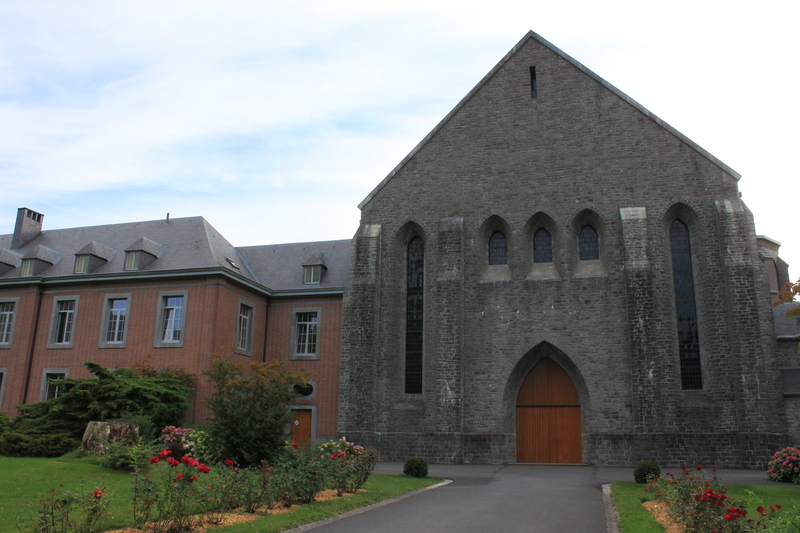 We decided to check out the Chimay Abbey before we headed out for the day. You can wander around the Abbey grounds, and even attend Mass at the chapel. The buildings are fairly modern, but beautiful (although, nothing will compare to Orval). The ride today was much nicer. It threatened to rain all day, so we were shielded from the evil sun for most of the day. 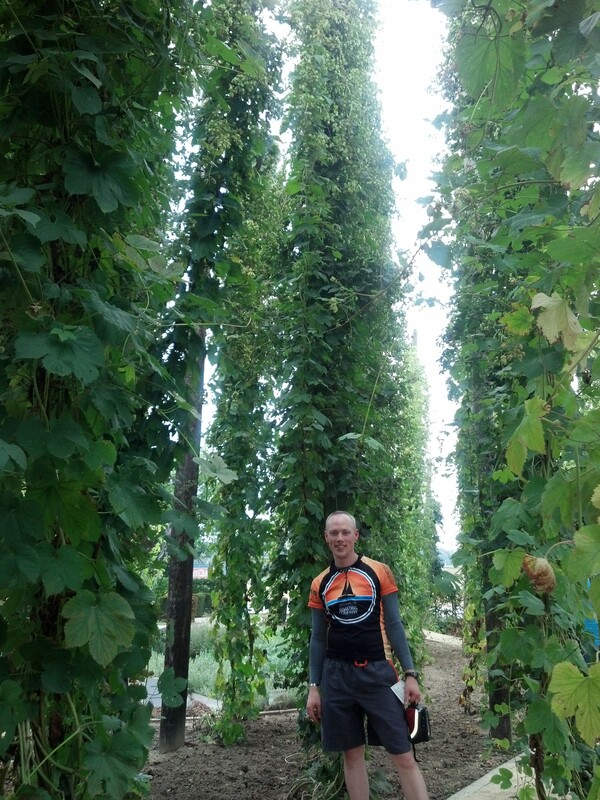 Along the way, we stopped in the town of Urquellens to check out their local hop festival. It was Friday in the early afternoon, and the hop fest didn’t officially start until later that night. A local saw us wandering around the street and asked if we wanted to see his brewery, Angelus Brewery. The guy didn’t speak much English (like most people in Wallonia), but he gave us his best English descriptions of the brewing operations. The brewery staff was busy preparing for the hop fest, but they were all very welcoming. We sampled their delicious beer, and they even gave us a sandwich for the road! 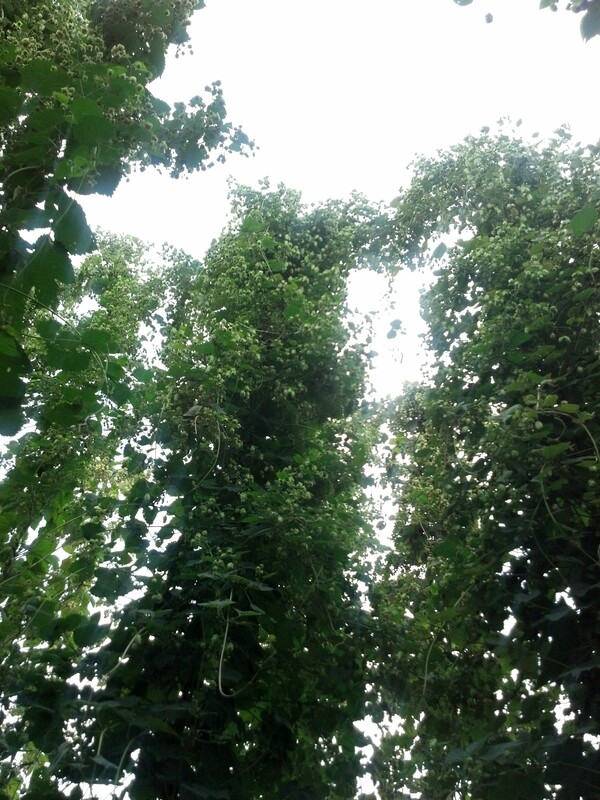 We then spent a little time touring the brewery’s hop fields. We continued our ride to Abbeye des Rocs, just in time for a nice drizzle. When we arrived at the brewery, we weren’t quite sure if the place was open. A man in the back yard motioned for us to come in his house. It turns out that the Abbey des Rocs Brewery is in this man’s garage, and the “cafe” is his dining room. 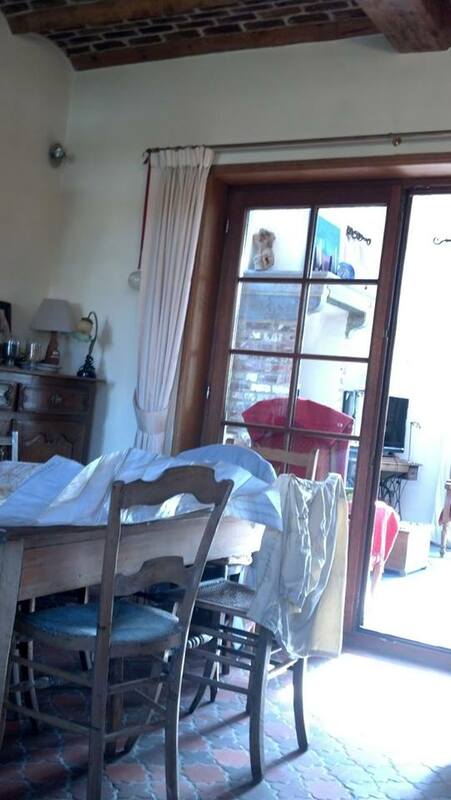 Abbeye des Rocs…aka a living room! Of course we tried everything they had available at the time and these turned out to be some of the best beers of the entire trip. Their Blanche des Honnelles is a 6% “Double Witbier” that is very bready, creamy, and has a hint of peppery spices as well as a good bit of citrus. Not my favorite beer on this trip but definitely worth a try. Their blonde and brown were both very good beers, but their amber Tripel, La Montagnard, is now one of my all time favorites. Maybe it was the 55 miles we biked to get this beer but it was one of the more complex and most enjoyable beers on the whole trip. The beer is around 9% ABV, hazy and reddish amber. The aroma is full of plum, raisin, caramel, toasted fruit cake, honey, and a bit of yeast that I found in all of Abbeye des Rocs’ beers. The taste is similarly sweet and complex. Everything found in the aroma comes through in the flavor, with the addition of molasses, a gentle warm alcohol, and citrus that sticks around in the aftertaste. It was almost candy-like but not too sweet, and the big creamy body helped in enjoying the very complex malt flavors. As far as we can tell, there are no standard “hours of operation.” If the owners are home, just walk in and ask for a beer! Be warned, no one here speaks English either. 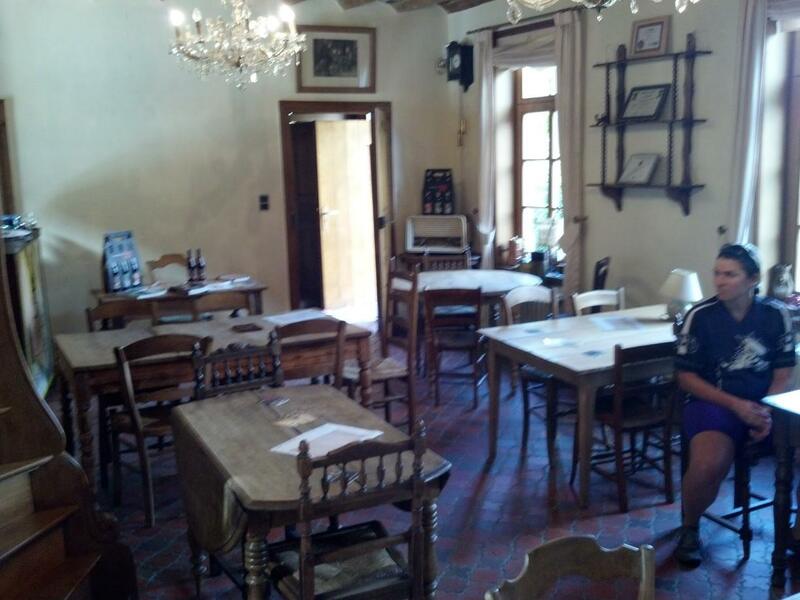 The owner described his brewing operations in French, and asked about our travels. We used a map to explain our route, and he seemed impressed by our cycling adventure. In fact, as we were leaving, he brought us a couple of beers for the road. From his body language, we think he said, “take this beer. You need all the calories you can get after riding that far.” But he could just as easily have been asking us to pay and we just stole the beers. We stayed later than anticipated at Abbey des Rocs because we thought we only had 5 kms to go. 5 kms turned into a muddy trail through a corn field, followed by a gravel road. By the time we finally arrived at the hotel, we were covered in mud. Our hotel was in the tiny town of Thulin. We found the one open restaurant in town to grab some much needed dinner. Casey inadvertently ordered veal innards, which were actually pretty good, but she consumed five years worth of cholesterol in one meal.